Worx is a highly regarded tool and garden equipment company which was founded in China in 1994 and now has a large base in Charlotte, North Carolina. 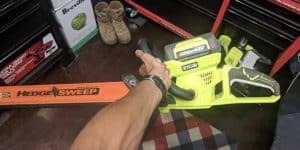 A subsidiary of the Positec Tool Corporation, Worx specializes in garden equipment such as hedge trimmers and lawn mowers which can be found at Walmart and similar American stores. The Positec Tool Corporation started out by supplying tools to Black & Decker, and later went on to branch out into an independent brand. The company struggled to sell Worx-branded products in the beginning, but found success when they focused on the use of infomercials to promote their products. The company has since gone from strength to strength. The first retailer to stock Worx branded products was Lowe’s back in October 2009, and just three years later it was stocked by Walmart and Home Depot as well as others. 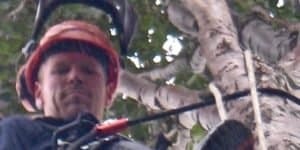 Looking to buy a new hedge trimmer? read our comprehensive, regularly updated buying guide! 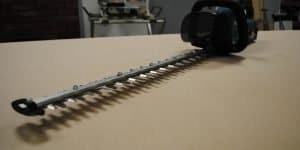 The Worx brand has fantastic reputation when it comes to hedge trimmers in particular. The company first found widespread success with the Worx GT electronic trimmer and sold an amazing 313,000 of that design in just one year. 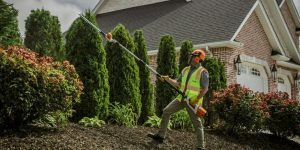 Worx’s strengths in this regard were in their utilization of pioneering cordless technology and a super-lightweight design (each trimmer weighs just 5 lbs.) which greatly appealed to their customers. This meant that their hedge trimmers were much easier to use than their predecessors. 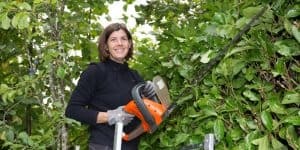 The company also aims to offer consumers cost-effective hedge trimmers which are suitable for maintaining yards of all shapes and sizes. This is a company which always seeks to use the very latest technology in order to produce high-quality products for the lawn and garden, and it is this commitment to remain on the cutting edge of advancement that has maintained their success over the years. Thinking whether you should buy new or used? Read our article about it here. 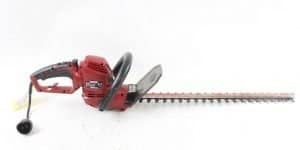 The Worx 20v Cordless 20 inch Hedge Trimmer retails at just slightly under $100 and this competitively priced piece of garden equipment is also a high performer. It offers both a 3-year warranty and a 30-day money-back guarantee as standard. It also comes fully equipped with a great range of features including dual-action blades to reduce vibration and give you an altogether smoother hedge cutting experience; over-mold soft grip handles; and a full-wrap D-grip front handle. Another advantage of this handy hedge trimmer is that its batteries are also interchangeable with a selection of other Worx tools. This budget-friendly option certainly has wide appeal. Larger yard owners or those who have more grass to maintain will see the great appeal of the Worx 56v Cordless 24 inch Hedge Trimmer. 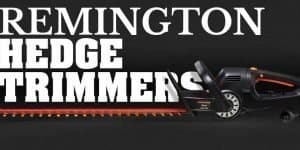 Retailing at $199.99, this quality piece of garden equipment offers a fantastic 90-day guarantee and a 3-year warranty, as well as a range of premium features as standard. 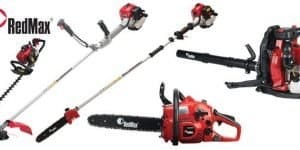 These include a high-capacity 56V battery, cutting capacity for thick and unruly twigs and branches, dual-action blades, transparent hand guard and more. Characteristically lightweight and attractively designed, it really has all you need to easily maintain a perfectly manicured yard all year round. 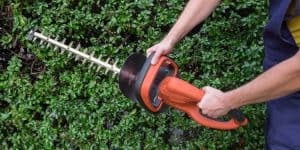 Another high-quality product from the Worx brand is the 40v Cordless Hedge Trimmer. This one is very competitively priced at around $120 and once again, features an amazing 3-year warranty and 30-day guarantee. Features of this lightweight but powerful tool include dual-action blades to help deliver a more fluid user experience, state of the art D-grip front handle, over-mold soft grip handle for more comfort, a transparent hand guard for safer, more focused cutting, and a 40V battery for extended use and quicker charging time. This quality Worx product proves that you don’t have to spend a fortune to have a beautifully maintained yard. Worx is a company which has cleverly positioned itself at the forefront of the American hedge cutting market by offering customers great design features, convenience of use and great value for their money. 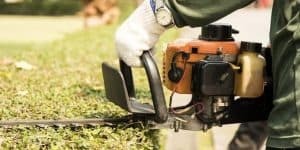 Their premium quality products and a Worx hedge trimmer allow anyone to have a stunning yard without being forced to employ the services of a landscape company or spend large amounts of money on bulky and costly equipment.